I got 0.9 and was able to get the CONNECT script to work perfectly! :o) Thanks SO MUCH for adding that! However, I don’t see anything in there to make LadioCast RETRY the connection if it gets dropped. Did I miss something? What does this do, and where would I find “foo.plist” on my machine? About reconnecting. When LadioCast has lost the connection, it tries to reconnect once. The retrying also failed, some alert box comes up. But even after that, LadioCast will try to connect if it receives the new “connect” AppleScript command. The connect command is not harmful and do nothing while LadioCast is already connected, so you can issue that whenever you choose. That’s this version. The “open” is just for loading station settings. 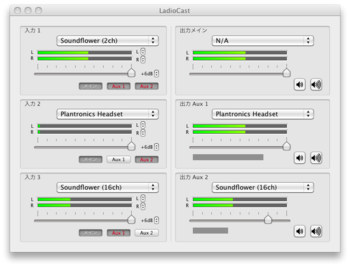 LadioCast can save current station settings, and now it can load that before connecting by AppleScript. Oh, it’s kind of you about the apple software page. I suppose the release 0.9.0 is now worth there. I am using that script in a series of iCAL/Automator actions to run every 30 minutes in case LadioCast has lost the connection. However, the alert box seems to present problems with this Automator action if there are too many of them. See screenshot I sent to you via email. Can we get LadioCast to try to reconnect over and over again until it does? Also, can we get rid of the ALERT BOX that pops up when a connection is lost? I do not need to see that message, since I can tell if it is running or not by looking at the CONNECT BUTTON STATUS. Without that alert box, it is easier to use the CONNECT script via iCAL. Otherwise, I need to CLOSE that BOX first with a WATCH ME DO routine. That’s showing LadioCast’s support for automating is still limited (mainly because it was some kind of a radio-program-oriented software, not radio-station-oriented). It would be improved in future releases. 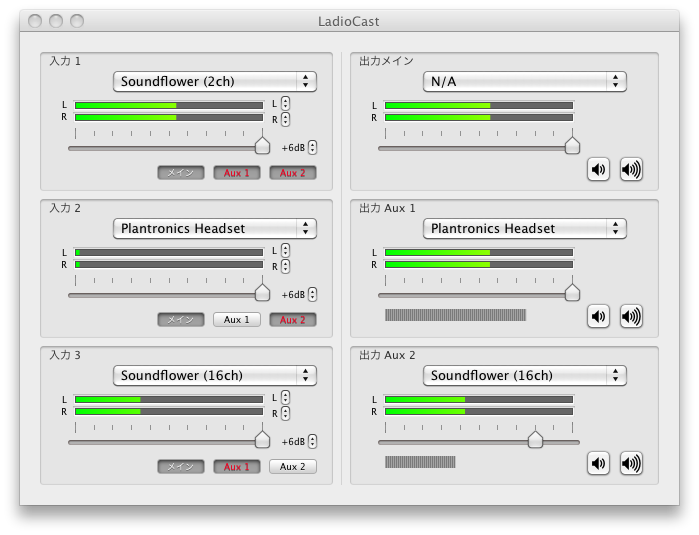 Even in its current form, LadioCast makes an EXCELLENT 24 hour broadcast application! All it needs are those few additions I have mentioned and it would be PERFECT! My copy continues to run well with the help of a series of iCAL scheduled Automator events that keep LadioCast connected to the Wunderground server, and prompt it to reconnect when the connection drops. Any progress on a new version that can auto re-connect if its connection gets dropped? Still using version 0.9 and it has been working great in terms of the audio performance and quality. Still have to use iCAL schedules executing those AppleScript reconnects every 15 minutes to make sure that it stays connected to Weather Underground. Let me know how things are going with that.